Europark Vias: Dare to ride in amusement park rides! When you stay at the Les Mimosas campsite, you can discover many things. Head to the Europark fairgrounds for example, a one-of-a-kind fair in the south of France, located in Vias-Plage, a few minutes from your accommodation. 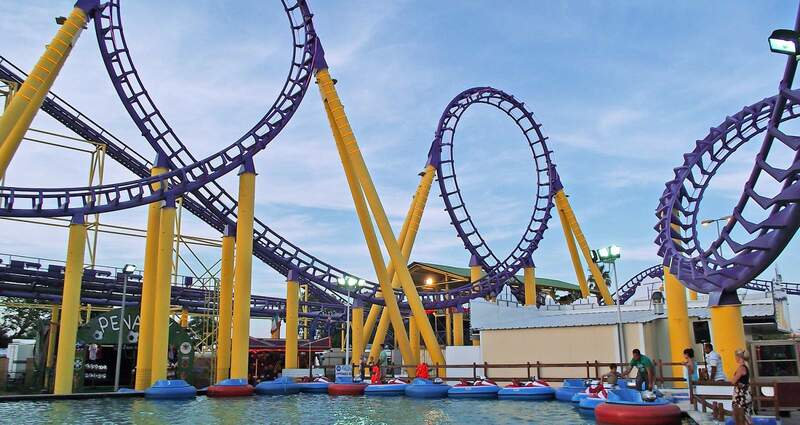 Since its opening in 1985, Europark has continued to innovate to satisfy vacationers. It is a permanent fair (that does not travel from town to town as fairs usually do) that takes places over 7 hectares of space. It is the largest permanent fair in France. Europark has become a place not to miss when you pass through the area. It houses more than 80 attractions. Whether with family or friends, both young and old will have fun like they’re kids again and take home wonderful memories.